The Jewish Forum Centennial Marnin Young. Realism in the Age of Impressionism: Painting and the Politics of Time. Yale University Press, 2015. The Book of Esther, the Purim Megilah, describes many forms of communication: dialogues, conversations, commands, pleas, reading aloud, eavesdropping, letters and decrees sent by messenger, among others. Perhaps based on this theme, the Jewish Welfare Board (J.W.B.) 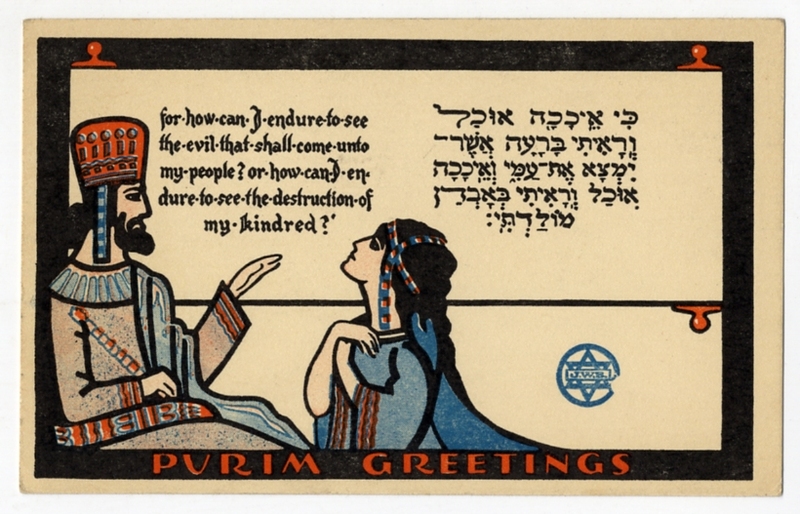 issued a Purim postcard during World War II to encourage armed services personnel to stay in touch with family and friends. 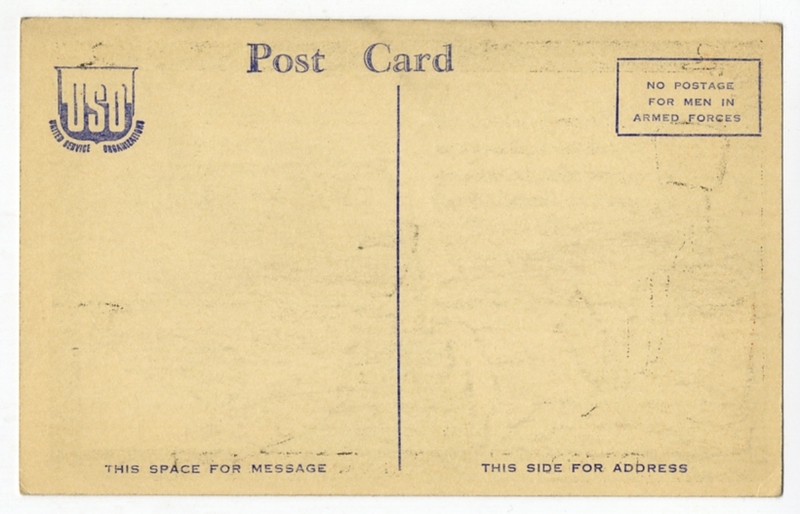 The postcards, as indicated in the space for the stamp, could be sent free of cost by men in the armed forces. The vividly colored card depicts Queen Esther appealing to King Achashverosh on behalf of the Jews throughout the kingdom. The J.W.B. was founded during World War I to aid Jewish soldiers serving in the United States military. The organization provided chaplaincy services as well as recreational and educational opportunities. During World War II, the J.W.B. partnered with other organizations: the Salvation Army, the YMCA, the YWCA, the National Catholic Community Service, and the Travelers Aid Association of America to form the United Service Organization (USO), which offered social and welfare assistance to all American soldiers. The letters “USO” printed on the back of the Purim postcard may indicate that the postcard was a joint effort of the J.W.B. and the USO and that the card was distributed at USO facilities. This particular postcard was never mailed; perhaps it was kept as a keepsake or souvenir. The absence of a personal message is indicative of another type of communication – or lack thereof – in the Purim Megilah: secrets and disguise. The Hebrew word for postcard, geluyah, indicates something exposed or revealed; writing on postcards cannot be hidden. Indeed the Megilah is replete with terms based on the Hebrew root גלה (glh) which play with the opposing concepts of openness and concealment. A prime example is the term hogloh (הגלה) utilized in Mordechai’s life story; Mordechai is a descendant of Jews exiled from Jerusalem to Persia (asher hogloh mi-Yerushalayim im ha-golah…). The message printed on the face of the postcard proudly broadcasts a historic reminder and a directive to Jewish soldiers fighting in World War II: Jews must not stand by idly watching while fellow Jews are being persecuted, a fitting message for the Holocaust era and beyond, and a call from one Jewish community in exile, in galut, to another.